*Laughs* It's heartbreaking, isn't it? Their love for the kingdom, will be what destroys it! My, My. 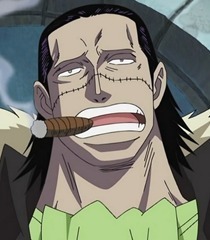 You're every bit the wild dog I heard you were, Smoker. Unlike your surperiors, you've never really believed I was on your side, have you? And of course... You were right.